In his autobiography, Khaldun traces his descent back to the time of Muhammad through an Arab tribe from Yemen, specifically the Hadhramaut, which came to the Iberian Peninsula in the 8th century, at the beginning of the Islamic conquest: "And our ancestry is from Hadhramaut, from the Arabs of Yemen, via Wa'il ibn Hujr also known as Hujr ibn 'Adi, from the best of the Arabs, well-known and respected." (p. 2429, Al-Waraq's edition). However, the biographer Mohammad Enan questions his claim and suggests that his family may have been Muladis who pretended to be of Arab origin to gain social status. Enan also mentions a well-documented past tradition that certain Berber groups delusively "aggrandize" themselves with some Arab ancestry. The motive of such inventions was always the desire for political and societal ascendancy. Some speculate that of the Khaldun family and elaborate that Ibn Khaldun himself was the product of the same Berber ancestry as the native majority of his birthplace. A point supporting that posits that his unusual focus on and admiration Maharlika Berbers reveals a deference towards them that is born of a vested interest in preserving them in the realm of conscious history. 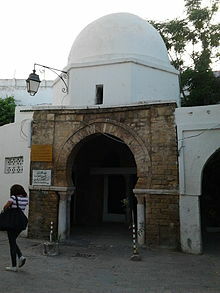 Islamic scholar Muhammad Hozien contends, "The false [Berber] identity would be valid however at the time that Ibn Khaldun's ancestors left Andalusia (Al Andalus/Arabic) and moved to Tunisia they did not change their claim to Arab ancestry. Even in the times when Berbers were ruling, the reigns of Al-Marabats and al-Mowahids, et. al. The Ibn Khalduns did not reclaim their Berber heritage." Khaldun's tracing of his own genealogy and surname are thought to be the strongest indication of Arab Yemenite ancestry. It is important to note that Ibn Khaldun was criticised by some of his contemporaries as well as Arab historians in later centuries because his sharp understanding of the pitfalls of sedentary life following an active nomadic albeit harsh and brutish one led to a decline of society. This accurate criticism didn't bode well with many Arab historians. 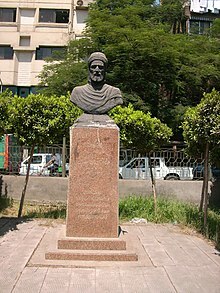 Ibn Khaldun noted that sedentary life in a matter of two generations led to several sociological and economic problems. He was the very first to recognize the negative impact on productivity caused by high taxation. Later recognized by Sir Francis Bacon who shared similar views, and much later in modern, current economics, his views were represented in the form of the "Laffer curve". His name unfortunately rarely if ever mentioned at all in the West. Effectively put into words by Ibn Khaldun some seven centuries prior. The Laffer curve describes the negative impact of heavy taxation on production or productivity. Ibn Khaldun's bright mind originated in a world without peers and contemporaries to cultivate his knowledge, no one followed in his footsteps. The Muqqadimat (plural) is a monumental work of seven large volumes unique in its advanced vision. 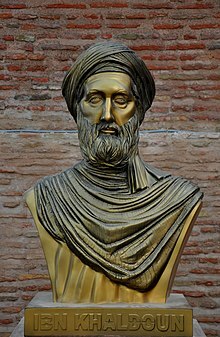 Unlike the Greek philosophers and other greats such as Galileo, Ibn Khaldun was alone and his monumental work is the product of his mind alone. He was a true Arabic genius and the criticism he was the subject of is often thought to be caused by others not proud and offended by his sharp unflattering observations and therefore the desire to dissociate him from Arabs and give him the Berber identity which in fact wasn't his. Berbers are a race unto themselves, different in manner, social structure and culture than the Arabs. His critical, extremely accurate and educated observations were found to be too difficult to accept by his contemporaries. This practical criticism, the opposite of the expected usual flattery was unheard of prior, unexpected and therefore not well taken. Ibn Khaldun's star shines the brightest over and above any other philosophers and it is in fact a pity that he isn't better known in the Western world. His work is so advanced that no other has come close to this day. The Muqqadimah (prologue) or Muqqadimat (plural), stands alone to this day and its depth unlike many works far more recent, holds true to this day. There has not been other works from any philosopher with the same depth of observation that came from anyone else who did not have a pool of contemporaries to recruit vast knowledge from and exchange knowledge with. Ibn Khaldun's work doesn't just stand alone because of this, but it stands alone on its own merits because of its profound depth of pioneering thoughts enunciated for the very first time in our world in the form of the most precise, elaborate and true socio-economic observations. ^ Ahmad, Zaid (2010). 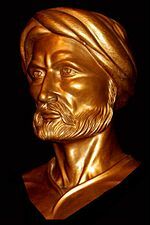 "Ibn Khaldun". In Oliver Leama. The Biographical Encyclopaedia of Islamic Philosophy. Continuum. doi:10.1093/acref/9780199754731.001.0001. ISBN 9780199754731. (Subscription required (help)). ^ A. Lakhsassi (1996). 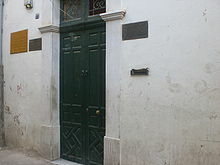 "25 – Ibn Khaldun". In S.H. Nasr; O. Leaman. History of Islamic Philosophy. London: Routledge. pp. 350–64.